Panoramic mountain views from every direction. Trek to Namche Bazaar (3440m / 11286ft) walking 5:30 hours. O/N at guest house. [B L D Plan]. 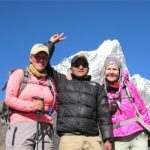 Trek to Tengboche (3860m / 12664ft) walking 5 hours. O/N at guest house. O/N at guest house. [B L D Plan]. Trek to Namche Bazaar (3440m / 11286ft) walking 6:30 hours, O/N at guest house. [B L D Plan]. 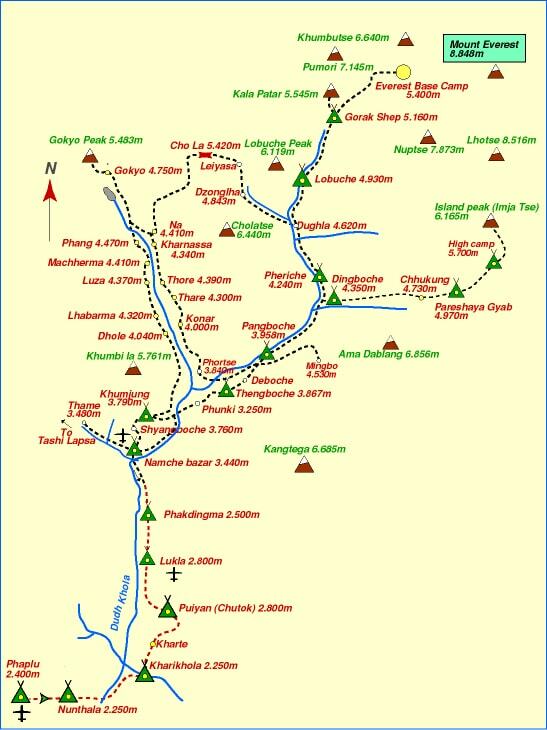 Trek to Namche Bazaar (3440m / 11286ft) – walking 6:30 hours. Namche Bazaar to to Lukla (2840m / 9317ft) - walking to 7:30 hours. After breakfast, the trip ends. Our Airport Representative will drop you to the Kathmandu international airport for your final flight departure from Nepal.